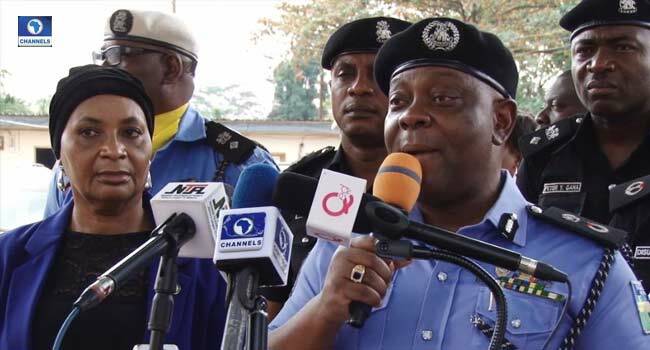 The Police in Lagos State have arrested two people and are investigating twelve other persons in connection with cultism in Igando-Egan area people state. While briefing journalist on Monday, the Commissioner of Police in the state, Mr Imohimi Edgal, stated that the counsellor of a school (name withheld) noticed a mark on one of the students and raised an alarm making it possible to identify other members. “She noticed a mark on the jaw of one of the students. She then asked questions. She debriefed the students who mentioned other kids with similar marks and they stated that it was the eldest among them (a 16-year-old girl) who took them for the initiation rites,” he said. According to the CP, the students who are between the ages of 8 and 16, gave information leading to the arrest of two suspects. Edgal appealed to schools across the state to be more vigilant and report suspected cases of cultism in their environment. “The symbol on their jaw is the symbol of the notorious Awawa cult group. Two adult suspects have been arrested in connection with this crime. “Let me also use this opportunity to call on the management of other schools. It is not enough to teach these students, they also must monitor the conduct of the students. We are going to take the investigation of this case very seriously because it involves children,” he stated. He also promised to charge to court all those involved in the act on conclusion of the police investigation into the matter.